To “garnish” is to take property – most often a portion of someone’s salary – by legal authority. “Garnishment” is a proceeding by a creditor (a person or entity to whom money is owed) to collect a debt by taking the property or assets of a debtor (a person who owes money). Wage garnishment is a court procedure where a court orders a debtor’s employer to hold the debtor’s earnings in order to pay a creditor. Garnishee: the person holding the property (money) of the debtor. An employer may be a garnishee because the employer holds wages to be paid to an employee (who is a debtor). Also, the following process is based on District Court Rules of Procedure. They apply if judgment was entered in the District Court of Maryland. 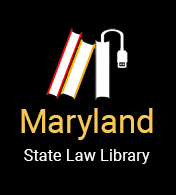 See Title 3 Chapter 600 of the Maryland Rules. The rules for garnishing property in Circuit Court are very similar, however, there may be some differences. If judgment was entered in Circuit Court, you may have to draft your own motions and requests. Rules regarding garnishments for child support are not the same as rules regarding garnishment for other debts. If you have questions about court procedure, talk to a lawyer. A creditor begins the wage garnishment process by filing a Request for Garnishment on Wages (Form DC/CV65) with the court. After the request is filed, the court clerk or a judge signs the Request and it becomes a Writ of Garnishment. The Writ of Garnishment orders the garnishee to hold any property (typically wages) of the debtor that the garnishee has at the time the Writ is filed. The creditor must pay court fees to file the Request for Garnishment on Wages and may also incur fees to serve the garnishee with the Writ of Garnishment. The creditor must serve the Writ of Garnishment on the garnishee via certified mail, restricted delivery, private process or sheriff/constable. Interest also grows on most judgments that a debtor owes a creditor, and court fees and costs may be added to the judgment. See Md. Code, Commercial Law §15-602. It’s a good idea for garnishees to communicate with the creditor and the debtor to make sure the right amount of money is paid to the creditor. The garnishee must file an answer to the Writ within 30 days of being served. In it, the garnishee must indicate if the debtor is employed, his or her rate of pay, and any existing wage garnishments. If the garnishee does not respond to the Writ of Garnishment, the garnishee may be held in contempt of court and the creditor may receive a default judgment against the garnishee. After the Writ is served on the garnishee, the garnishee must determine the amount of the debtor’s “garnishable wages” for each pay period and must withhold wages as directed by the Writ until the judgment is satisfied, or until the court orders the garnishee to stop withholding. The garnishee does this by reporting and distributing to the creditor, or the creditor’s attorney, the total amount of wages withheld within 15 days after the close of the debtor’s last pay period. If the garnishee receives another garnishment, it must follow the same procedure, but, it should not pay a subsequent creditor until the first garnishment is paid in full. Once the first garnishment is completely paid, the next one will go into effect. Thus, if there are multiple garnishments, then the first one must be satisfied in full before any later garnishments are paid. Creditors who receive wage garnishments from a garnishee, must first apply payments to accrued interest on the judgment, then against the principal amount of the judgment, and lastly against attorney’s fees and court costs assessed against the debtor. The garnishee must inform the debtor each pay period of the amount withheld and the method used to determine the amount. This information can be provided on the pay stub. Within 15 days after the end of each month that the creditor receives payment from the garnishee, the creditor must mail the garnishee and the debtor a statement listing the payments that it received and how it applied those payments to the judgment’s principal, costs, interest, and fees. This form is not filed with the court, but the creditor must keep a copy of each statement until 90 days after the garnishment terminates. Any party, or the court, may ask to look these statements. If you are not sure how much money the debtor still owes, ask the creditor for a copy of this statement. The garnishee must also tell the court and all parties if the debtor stops working or is fired. The garnishment terminates 90 days after the end of employment, unless the debtor is re-employed by the garnishee during that period. If there is more than one garnishment, each garnishment must be paid in full in the order it was served on the employer. A garnishee may not fire or dismiss a debtor simply because the employee’s wages are being garnished. Federal law limits the amount of earnings that can be garnished to 25 percent of the debtor’s disposable income. Disposable income is the amount of earnings present after legally required deductions (e.g. federal or state taxes, Social Security, unemployment, medical insurance.) For debtors earning near minimum wage, the debtor must be left with an amount equal to 30 times the federal minimum hourly wage. This rule does not necessarily apply for collection of child support or past due child support. If the garnishee fails to comply with the law, he or she may be cited for contempt of court and assessed attorney’s fees and court cost. If the creditor fails to comply with the provisions of the law, the garnishment may be dismissed and creditor may be assessed attorney’s fees and costs. A garnishee can oppose the garnishment by filing a motion with the Court. A garnishee is not required to turn over property that is not in its possession, or to collect from the debtor/employee any tips that have been paid directly to the employee by the employer’s customers. A garnishee may also claim that the garnishment sought by the creditor is exempt earnings that belong to the debtor. The court may release some or all of the property if the judgment has been vacated, has expired, or has been satisfied, if property is exempt, or if the creditor fails to comply with court rules. Once the total amount is paid off, the creditor must file a written statement indicating the amount has been satisfied. If they fail to do so, then the debtor may file a motion to declare that the judgment has been satisfied. If the creditor fails to comply with the provisions of the law, the garnishment may be dismissed and creditor may be assessed attorney’s fees and costs.